So, I've gone ahead and upgraded this PC since I built it last year. I'm still running a Core i7 6700K overclocked to 4.5GHz, but I've swapped the Hyper 212Evo for an NZXT Kraken x62. This thing is absolutely beautiful. 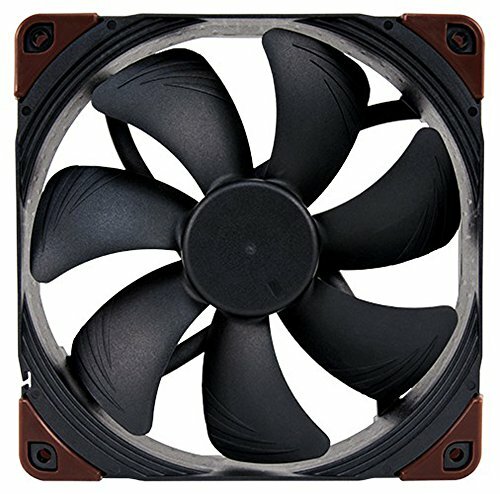 I have 4 fans in a Push/Pull configuration on the AIO. I know this is a bit overkill, but I wanted to be able to run the fans slow and still achieve optimal cooling (I run the fans at 30% speed and it CPU run about 28C idle and 45C under load and the thing is whisper quiet). I replaced the Gigabyte GeForce GTX 970 Windforce 3X with an Asus GeForce GTX 1070 Strix. I have the Strix overclocked to 1800MHz, but it generally runs above 2000MHz thanks to GPU Boost 3.0. This card is an absolute MONSTER!!!! I benchmarked it with Heaven, Valley, and FurMark and the thing never went above 65C with the fans topping out at about 42%! The rest of the build is unchanged, but I've really starting thinking about upgrading to an AIO water cooler for the CPU. A great plus about the Strix is that is has 2 fan headers on the card that will keep your fans off until the GPU starts getting warm. This helps to keep Tink nice and quiet when I'm doing anything other than gaming which is a huge plus. Simply a beast of a processor. Overclocked to 4.3GHz on an air cooler and running fine. I'll probably be getting a liquid cooler and seeing how much farther I can take it. This is a good board with a lot of features. I don't completely understand all of them. For example, it has a parallel and serial header (but hey if you don't need them just don't use them). A little frustrated that it only has 2 chassis fan headers. Other than that, the CPU power connector is not oddly placed which is always a good thing. I'm in love!!! I upgraded from a Gigabyte GTX 970 Windforce (which I also loved) that was great in most respects, but this thing just kicks it around the playground and takes it's lunch money. I have it overclocked to 1900MHz and it hasn't even gone above 65C. This is an awesome card. Save yourself some money and get this over the OC version and just overclock it yourself. 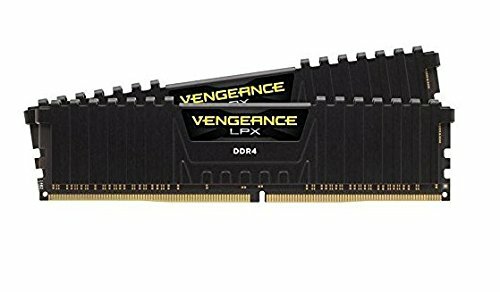 Im am looking at building a very similar computer. 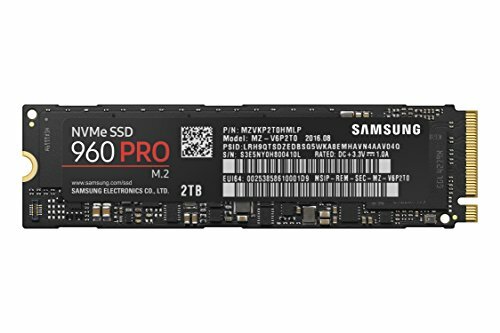 How is that motherboard? I honestly wasn't expecting to be blown away by the motherboard, but I have been really pleased with it. The UEFI/BIOS is easy to navigate and use and overclocking is equally easy both in BIOS or in the software included in the OS. I would recommend it. There were a couple of things I forget to bring up about the motherboard that you'll want to take into consideration if you consider buying it. First the location of the mounting holes makes plugging the the power cable a little tricky. I had to actually "pinch" the side of the motherboard and the power cable between my fingers because the motherboard felt like it was bending back a bit due to the location of the mounting holes/screws. Another thing to think about is how many fans are you going to be using in your system. The motherboard only has 3 headers for fans (1 for the CPU fan and 2 for chassis fans). I'm using 5 fans in my system so 2 fan headers were not enough. That is why I got the fan controller. Just some things to think about when your planning your build. Good luck. Yeah, it looks good. I don't plan on adding any more than two fans so that shouldnt be a problem for me. Another question: is 550w enough for that system? I'm looking at getting a 750w to be safe. 550W is more than enough. I'm also overclocking my CPU and graphics card with no issues, but if you're thinking about possibly getting a second card to run in SLI or if you're going with an AMD card then definitely go with the 750W. I'd recommend checking jonnyguru.com to see if he's reviewed the power supply you're interested in. I totally trust that guy when it comes to his PSU q reviews. If 550W is plenty for overclocking, then I might be able to save a couple dollars. I like it. I think you made a good decision in going with a PSU larger than 550W with that graphics card, especially if you plan on overclocking. Happy building. Hey, love the build!! 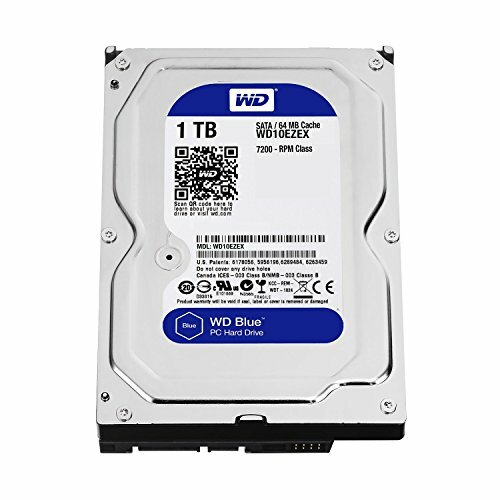 I'm new to the PC World, just wanted to know how the drive bays were affected due to the 310mm length of your video card. The case fits cards up to 330mm but I believe lengths of over 230mm can stop some drive bays from being usable, also how many drive bays does your PC have in use? Thanks in advance for any help you can offer!!! Sorry, just saw your last question. Technically I'm only using 1 dive bay for my HDD since I mounted my SDD to the floor of my case. With that said, I still have space to put in another 3 HDDs so you can realistically expect to get a total of 4 HDDs in there and never get close to the graphics. Again, this case doesn't play nice with more than 1 SDD. Hope this helps. yep, got all the info i needed, thank you! When I was initially planning the build, I was going to put the HDD at the top drive slot because the SATA power cables that came with my PSU allows me to power 3 SATA devices. This would have allowed me to use 1 power cable to plug up my HDD, SDD, and DVD burner. The card wouldn't let me do that because it blocked the HDD so as you see the in the pictures, I had to move the HDD lower. It honestly wasn't a problem because my case's drive bays wouldn't let me mount the SDD. I actually had to screw it to the bottom of the case so it worked out OK. Keep this in mind if you're thinking about buying that case.